I think I’m done for the day because I can’t imagine adding anything to that. “The incomparable loftiness and difficulty of architecture?” Perfetto. (my own translation, so take this with a huge grain of salt). BNIM.com has a great post by ISU alum and digital thinker Brandon Wlosinski that’s worth a read. He points out that we have the tools now to not only analyze buildings digitally, but also to generate forms and solutions that are based not just on whimsy or hunches, but on genuine data. It’s a topic that I find fascinating–despite my concentration on history I try hard not to be a luddite, and it’s articles like this that make me wonder what someone like Nervi could have done with the tools we have. The real world still puts up resistance in all kinds of ways–modeling something is a certain way to discover that things in general are more complex than we can ever account for–but the examples Brandon gives (including an ace studio project…) show where things might head. Library day yesterday. Having earned beer money working in Avery Library during grad school I am always eternally grateful for library assistants who are willing to talk visiting scholars through the peculiarities of each collection, and Roma Tor Sapienza was no exception. In addition to finally getting my hands on Nervi’s rare 1945 book Scienza o Arte di Costruire? 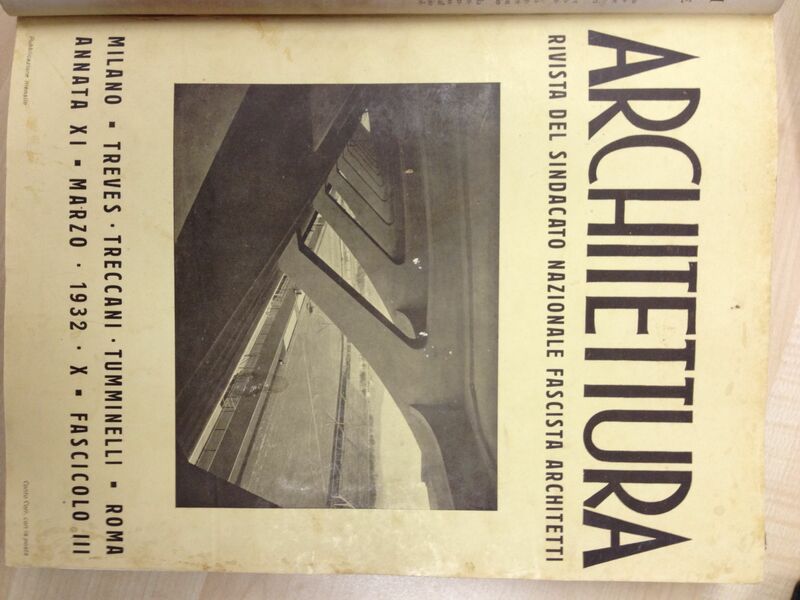 they had an (almost) complete collection of Casabella going back to the beginning, in the early 1930s, and–most surprising–a complete collection of L’Architettura, which was the official magazine of the National Fascist Syndicate of Architects. It’s a slightly uncomfortable thing to page through, but necessary and of course absolutely fascinating. 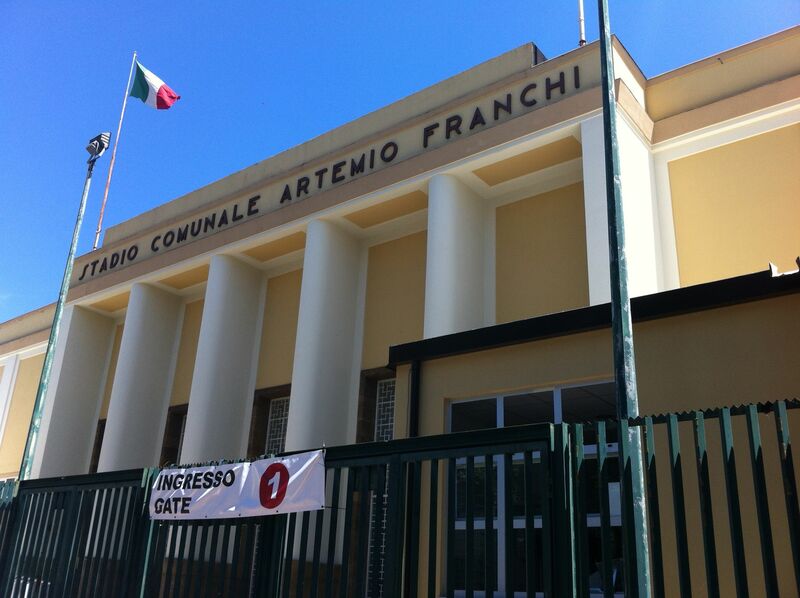 Nervi’s stadium in Florence, finished in 1932, made the cover of that year’s March issue, and it seems to have represented something of the dynamism and energy that the regime paid lip service to–even while wrapping structurally innovative forms like this in heavy-handed classicism outside. One of the errands I set for myself last week in the CPAC archives in Parma was to get to the bottom of the “Fermi Memorial” that’s listed in several Nervi catalogues. There aren’t any published drawings of it, and it (obviously) never happened, but in 1964 Nervi submitted a design to the University of Chicago for such a thing, honoring Enrico Fermi, the atomic scientist who set off the first controlled atomic reaction on the campus in 1942. Fermi died in 1954, and there was an international competition held in 1957 for a memorial hall that was to have been part of a downtown development on the block between Illinois, Hubbard, Wacker Wabash (thanks, Kim), and State Streets. 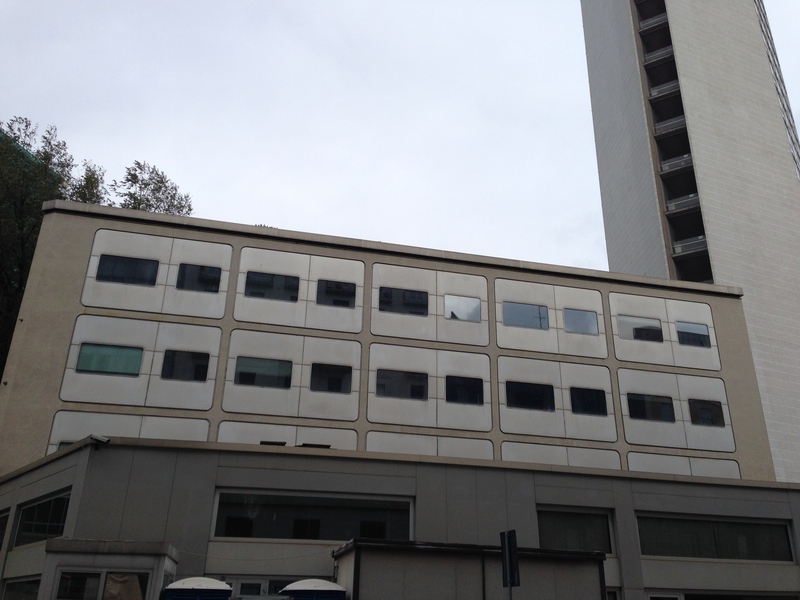 As you can see if you (ahem) walk past that block today, it didn’t happen, but it did attract over 300 entries, including one from Louis Kahn that represented his first collaboration with engineer August Komendant. So why was Nervi submitting something seven years later? It turns out he was on the jury for the 1957 competition, and from a few clippings in the Tribune, he seems to have been invited on his own to propose a monument for the site of the original atomic reaction when Stagg Field, the football stadium adjacent to Fermi’s shack under which Fermi had his lab (thanks Rick! ), was torn down. Whether this was official or not, Studio Nervi produced three sheets of presentation drawings that more or less would have looked like this (former students will enjoy seeing how my sketch up abilities have progressed, but squint and you’ll get the picture–obviously the archives aren’t keen to have people posting shots of original drawings). It’s not a brilliant piece of work, but it incorporates two construction types that were very much in the Nervi toolbox at the time: variable section piers that transform from wide cruciform shapes at their bases to round at the top, signifying a fixed base connection and a pinned top connection, and a ribbed slab that incorporates a pattern based on the isostatic flow of forces within (roughly–there’s new research by David Billington’s team at Princeton that shows this to not be quite so simple). 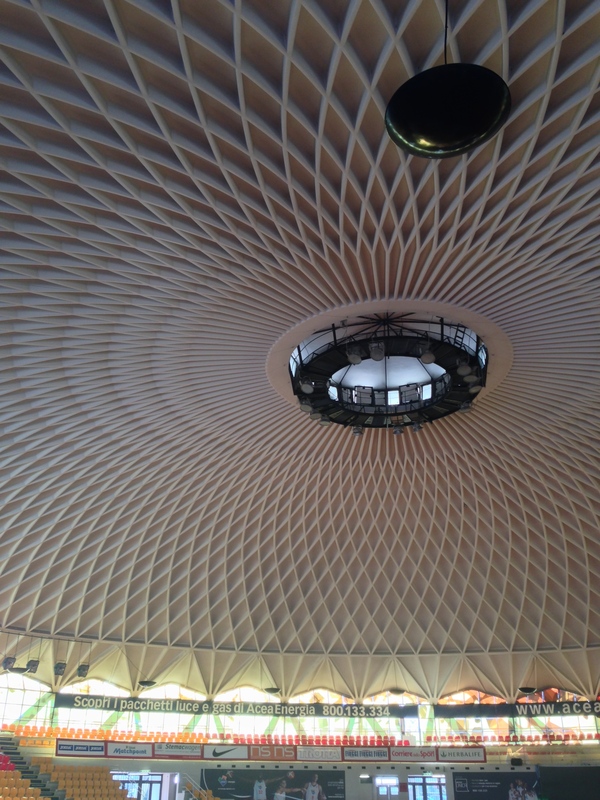 The ribbed slab had been an expedient way to get an efficient and visually interesting pattern using ferrocemento formwork, but it would become an honorific ceiling pattern in the Vatican Audience Hall, still in development when this project was proposed–so for that reason alone the Fermi Memorial should at least be a footnote in the canon. What’s even more interesting to me, though, is how clearly it references Mies van der Rohe’s 1957 project for Bacardi in Santiago, Cuba. This was an iteration of his clear span pavilions, supported only at their edges by pillars–usually steel, but in the case of Cuba, the entire structure was to have been concrete. A major critique of these pavilions has been their extraordinary structural inefficiency, since the piers’ placement at the very edges of the roof essentially maximizes the bending moment in the middle of the roof. Nervi’s scheme pulled these piers inboard, balancing the main span of the roof with cantilevered spans at the edges–reducing the bending moment at the center considerably. The glass skin suspended between roof and floor is a pretty obvious quote, but notice the distinction in the ceiling–for Mies, there was an argument here about ‘universal space,’ meaning that the ceiling is rendered in a strict grid–statically inexpressive compared to Nervi’s pattern, which shows the shear forces collecting as they approach the piers. So, was Nervi channeling Mies? Designing an homage to the emerging ‘Second Chicago School?’ That isn’t quite as ridiculous as it sounds, as Myron Goldsmith, by this point well-ensconsed at SOM, had been a pupil of both Nervi and Mies. But it’s also impossible to know, at least at this point. I’m keen to dig further into this from the other side of the pond–especially since the project seemed to go absolutely nowhere, quickly. All of Studio Nervi’s drawings are dated in December, 1964–even though the project was announced in March. And the site proposed in the drawings was in the center of the Midway instead of at the old atomic pile site–that site is in fact commemorated by Henry Moore’s sculpture. So it’s possible that the University changed its mind about both the site and the nature of the monument. 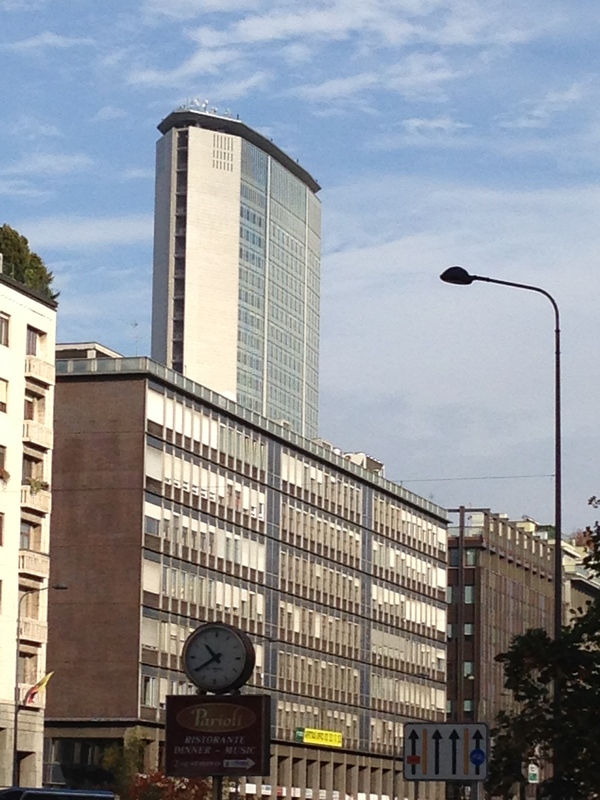 Nervi’s first two skyscraper projects are literally right across the street from one another in Milan–the Pirelli Tower, finished in 1956, is well-known, but the Galbani Building (to the left there), finished simultaneously, is more interesting than it looks. Nervi was a consultant to Soncini, Soncini, and Pestalozza on this one, and while the outer form is less dramatic (and much shorter) than Pirelli, the construction system is a clever variation on the folded-plate ferrocemento system that he’d used with increasing sophistication in the Turin Halls. 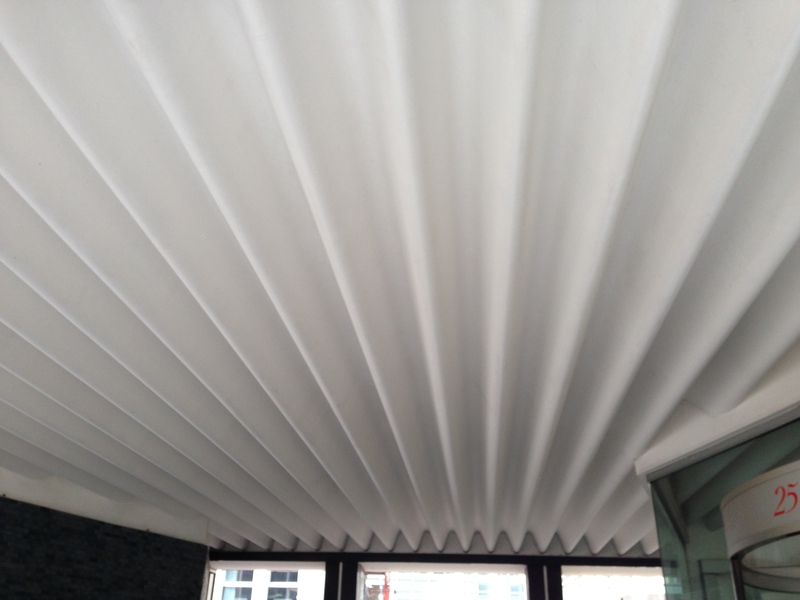 Fortunately, the system forms the lobby ceiling, so even on a Sunday afternoon (and even more importantly, without a good inside contact to open doors…) you can see a bit of it. It’s a pretty tight grain, and from a section published in Buildings, Projects, Structures it doesn’t look like there was any room for integrating lighting or mechanical systems. There was, however, a good code loophole that let them measure floor-to-ceiling height to the mean depth of the ceiling, which allowed the Soncinis to squeeze an extra floor in under their height restriction. Which, of course, begs the question of how this 415-foot tall elegant thing got built across the street…working on that, but it is a beautiful piece of work. 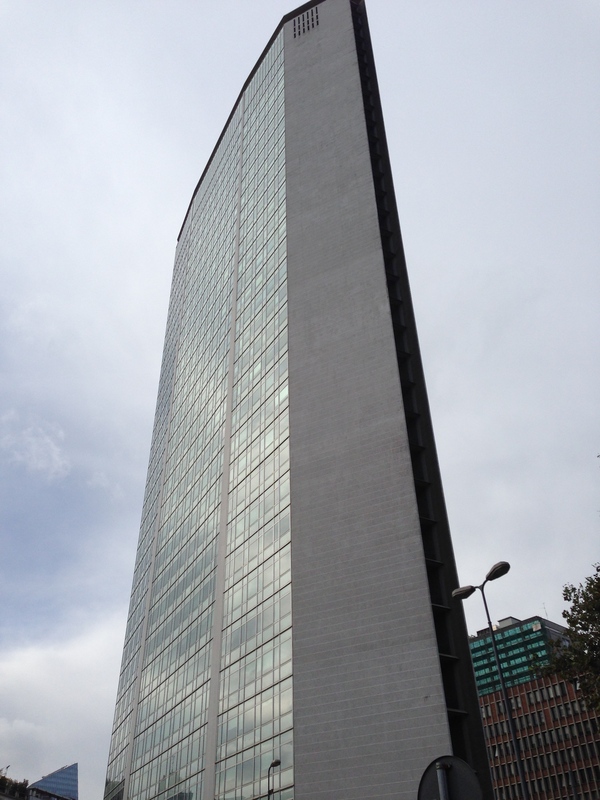 Gio Ponti was the architect, and while I can only imagine the conversations between one of Italy’s great postwar aesthetes and one of its greatest hard-nosed engineers, the result was a well-integrated but very odd skyscraper. To start with, of course, there’s the fact that it was an all concrete structure. Not at all unusual for Italy, but this was–by far–a record beater for the material at the time, even as the U.S. was stacking up records in steel. And Nervi’s structure took particular advantage of the material–the end cores provide a huge amount of lateral stiffness (they’re made up of two triangles each in plan, splayed slightly to get that vertical shot line down the sides), though the elevators themselves are in a third core that’s around the back. Inefficient? Very. The floor slabs are already super-skinny, so the net-to-gross on Pirelli must also be a record-beater, in the wrong direction. But Pirelli wasn’t intended as a speculative office building, it was intended as a statement about the company’s arrival on the international scene and as a similarly bold statement about Italian technology and design. In that, it succeeded brilliantly. The floors in Nervi’s design span from the cores to those two concrete piers that form racing stripes down the front elevation, and if you look closely you can see that they taper from bottom to top, showing you that their loads increase as they carry more and more floors. And then there’s the hat–the roof over the public area at the top hovers above the whole thing, cantilevered out on concrete beams that tie back to those tapering piers. The curtain wall (redone fairly recently, I think) was also advanced for its day, and it sits absolutely flush with the cladding on the structural elements, so that the whole things reads almost as a piece of finely crafted furniture. Ponti clearly intended Pirelli as a statement about Italian architecture, too, and it’s as rational and sleek as anything that came out of Olivetti, or Ferrari, during the era. Ponti wrote a (somewhat endless) article in Domus as it was nearing completion (Gio Ponti, “ ‘Espressione dell’edificio Pirelli in Costruzione a Milano,” Domus, 316. March, 1956. 1-16) that was meant as an obvious comparison to the steel and glass skyscrapers then emerging from Chicago and New York. In his words, the “forma finita,” or “closed form” was dialectically related to Mies’ “universal space”: instead of an abstract piece of volumetrics, Ponti saw Pirelli as an urban object, one that was tightly composed, resolved, and to which nothing could be added or extended–much like (say) a typewriter or a racing car, the tower was for him firmly located in its site, material, and structure, a riposte to the indifference Mies increasingly felt toward all three in his march toward infinite space and abstract, prismatic geometry. And Banham had a good point; despite a sloping plaza at the front (now gated and barricaded from the large Piazza Duca d’Aosta), the tower meets the ground in almost every possible unfortunate way–the building at the back tries to distinguish itself, essentially, by being boring. Compared with the ‘bustle’ that backs up Seagrams, this isn’t much to write home about, and Banham saw this as an indictment: in trying to gain a pure form, both Mies and Ponti had to shove plenty of program and function into minor structures that contradicted the tidy logic of the main tower. But that logic is pretty tempting, and as “billboard architecture” Pirelli seems quite rigorous compared to contemporary symbol-building. That the engineering should play such a role in the expression was very much in the strain of static diagramming in high-rises that Nervi would continue to explore–with mixed success–in his later two (or, depending on how you count, three) towers.
. Ok, so actually Modena, in this guy’s case, but Turin was certainly his adopted town. A day off today, serious research-wise, but a full day to spend walking around Turin. Guarini Guarini was a Theatine monk who was an amateur mathematician and, eventually, court architect to the Savoy dukes in the late 17th century. 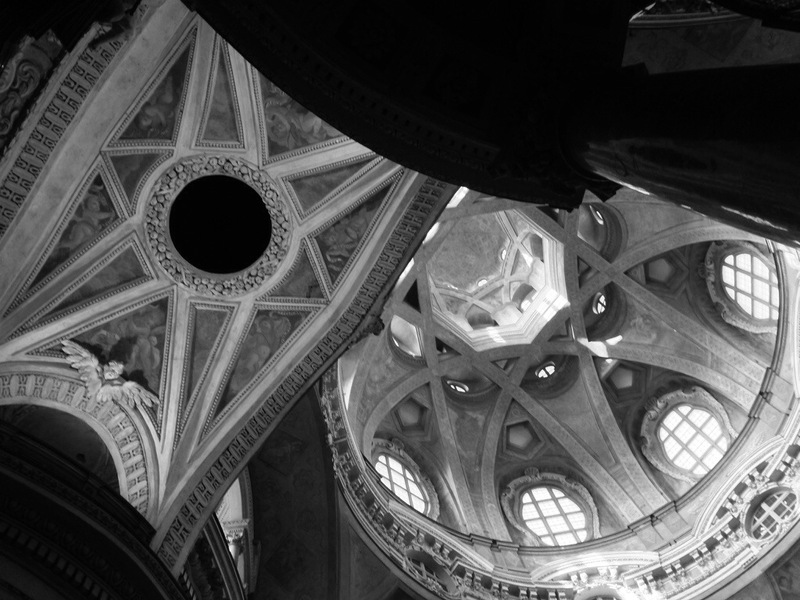 Turin was a center of power and wealth at the time, and this is one of two churches that he did within about 100m of one another. The Sindone Chapel, the more famous one, suffered a fire fifteen years ago and is still under restoration, but this one, the Real Chiesa DI San Lorenzo (1687), is no slouch’ especially for an amateur. You can see the mathematical influence at work in the ribs, which are laid out in four pairs–each one of which connect nodes that are three corners apart. So you can “follow” the ribs as they bounce around the dome, a really captivating balance of visual statics and dynamics. 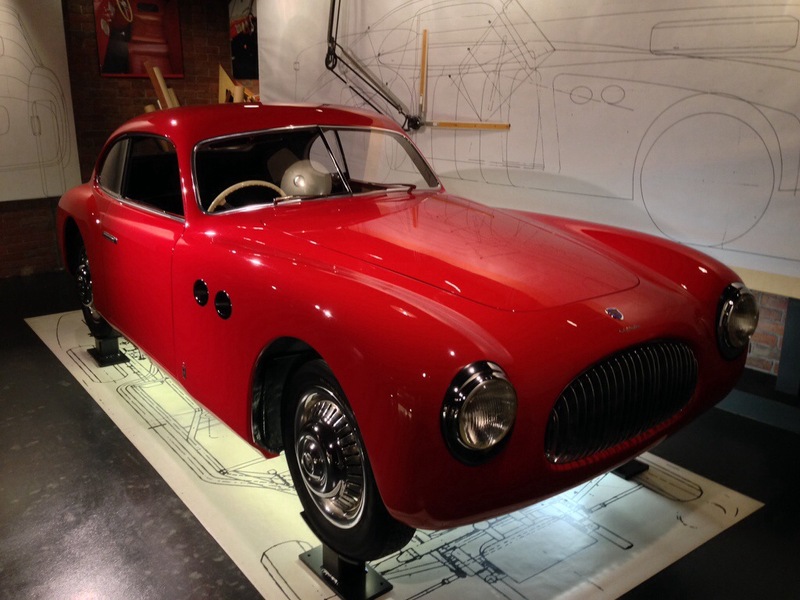 and speaking of dynamics, another famous son of Turin (again, more of an adopted son, by bear with me) was Battista “Pinin” Farina, whose automotive design firm was founded there, eventually working with both Ferrari and Fiat on some of the postwar eras most iconic designs. 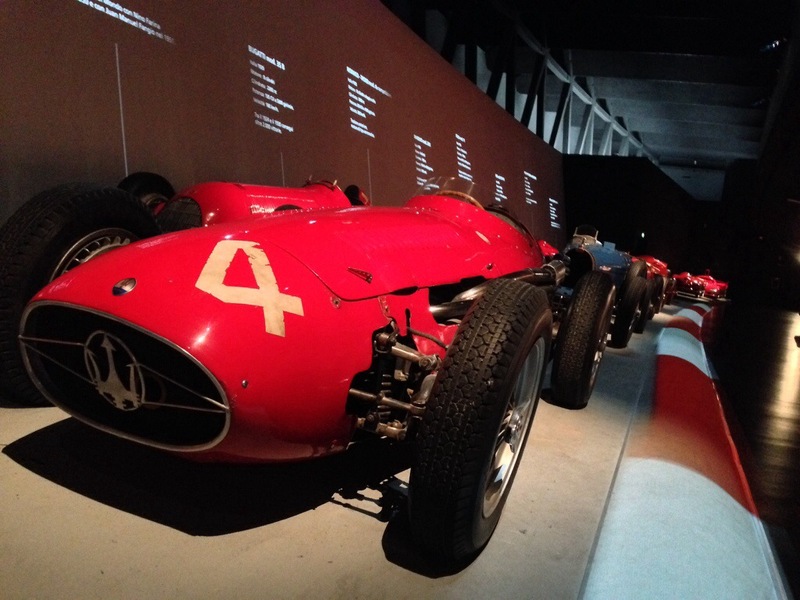 In addition to the Nervi and Guarini buildings (and a Egyptian museum, and oh, yes, a shroud…) Turin has a world class automotive museum that was assembled and built with Fiat resources, but that is remarkably global in its collection. My car-nerd days are largely past, but the classics still strike a chord with me. I think it’s the same sense of a really clear design emerging from hugely constraining circumstances–or, maybe, I just haven’t outgrown the 15-year old in me after all. I mean, come on…that is a beautiful, beautiful thing, isn’t it? 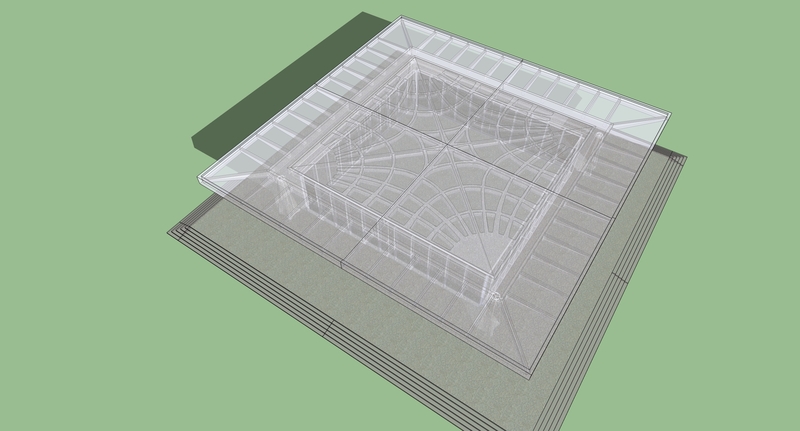 You are currently viewing the archives for November, 2013 at architecturefarm.